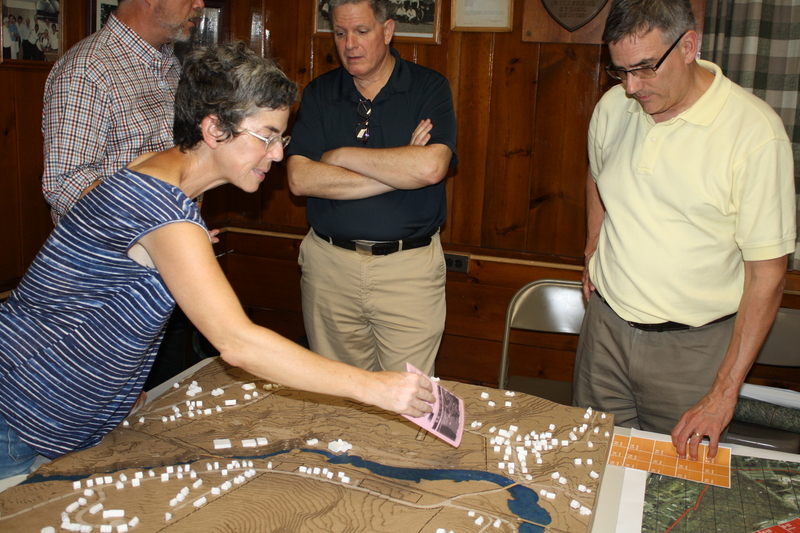 On July 12, 2017, the Working Group met at the Slater Chemical Fire Hall for a preview of September’s charrette agenda and exercises. The meeting opened with a safety moment and an outline of the evening’s agenda. Working Group participants were provided with an update on environmental activities including sequencing of the site remediation, and a description of agency oversight and public resources. The group was pleased to be joined by Bill Bennett from the New York Department of Environmental Conservation. 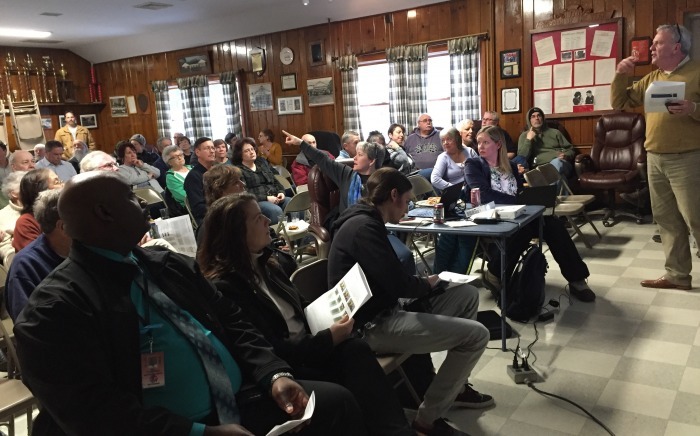 Next, further updates were provided on the fact-finding portion of the charrette process including regional, environmental, and market contexts. It was revealed that overall market study findings still support a mixed-use village concept that may include elements such as a small hotel, restaurants, shops, studios; “maker-space,” retail and commercial; rental loft-apartments and townhomes; and for sale lofts, townhomes or single family homes. Participants were then presented with a preview of the 3-day charrette agenda and process, and a preview of different land use types to consider such as residential, office, commercial, manufacturing, recreation, and entertainment and examples of building types to draw inspiration for a vision of the site. The meeting concluded with agreement amongst the group that they are ready and eager to begin the charrette process in September. Please check the website for details on how you can participate.